When Google first launched Google Plus, it was seen as the largest attempt by Google to rival Facebook in social media. Among SEO circles there was also talk of the potential for Google’s own social network to drive more personalised search results, such as the launch of Search Plus Your World in January, which was seen by Inbound Marketing guru Rand Fishkin as Google’s strategy to force online marketers into embracing its social network. The identity of individual agents responsible for content can be used to influence search ratings. Assuming that a given agent has a high reputational score, representing an established reputation for authoring valuable content, then additional content authored and signed by that agent will be promoted relative to unsigned content or content from less reputable agents in search results. So long as you provided enough hint that the content is written under your identity, Google will identify these platforms to calculate your reputational score, which will directly impact the rankings visibility of content that you have personally created. There’s also the future possibility that Google will give preference to digitally signed content over content that has no authorship details. So where is Google taking us with Author Rank? If AuthorRank comes to full fruition, it would be one of the biggest innovations since Google first pioneered backlinks as a ranking factor (a.k.a PageRank). I’m confident that AuthorRank will change our perception of our relationship with the Internet and our online identities. When the Internet first started, it was just a cluster of websites. Your only possible way to get an online presence was to have your own website, either as a single person, a collaboration among various people, or a whole community effort. An individual’s work was strongly associated with the website itself. It is under these circumstances that Larry Page and Sergey Brin first conceptualized the PageRank ranking method. 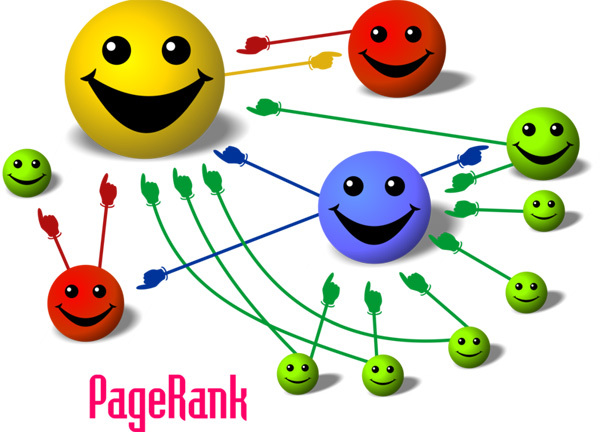 PageRank measured the quality and quantity of links that pointed back to a webpage. The more links you had pointing back to your webpage, the higher your PageRank and thus the higher you’d rank on Google’s Search results (more or less). Your online identity has thus become a mobile entity, able to move from one place to another. A major distinction, then, between Google and Facebook is that Google’s PageRank always relied on the existence of individual webpages, while a social network creates a unique mobile identity that has been elusive to Google’s search algorithms. AuthorRank therefore becomes the solution for Google to combine social and search once and for all, as it will be the first time that Google has attached a reputational score to an individual identity rather than to a certain page or site on the Internet. We’ve already seen how Google is experimenting with this thanks to Search Plus Your World, adding a results box on the top right corner with feeds of influential people from your Google Plus circles. It’s only a matter of time before Google finds a way to combine the power of AuthorRank to drive search results for non-personalised searches that occur when you aren’t even signed into your Google account. AuthorRank will be niche based – According to the patent filed by Google, AuthorRank will assign a different reputational score to authors in different niches. For instance, an author with a high reputational score in online marketing might have a low score in home gardening. AuthorRank will power PageRank, and vice versa – AuthorRank will not replace PageRank. Instead, it will serve to more accurately reflect that a webpage with high PageRank is indeed legitimate. This will place private blog networks such as the now defunct Build My Rank and its clones in the spotlight as most of these websites contain no authorship details at all. AuthorRank will inevitably introduce bias to Google’s search results – Probably one of the reasons why Google has yet to go ahead with AuthorRank is that Google still has tremendous difficulties in retrieving social data and authorship markup is not yet commonly used. However, if Google does decide to go ahead, it will put those who have no Google Plus presence in a disadvantage. What can you do to prepare for AuthorRank? Start building up your Google Plus profile – More engagement on your Google + Profile. Start engaging in meaningful dialogue and create circles around your industry to establish your credibility. Connecting your social accounts together – Let Google know about your online presence. In Google Plus you can link your account to your other social media accounts, such as Facebook, Twitter, Linkedin etc. The same could be done for your other social media accounts. Also state in your Google Plus profile where you are currently contributing articles. The idea is to make Google’s life easier in getting a picture of your online presence. Authorship markup – Because Google has been poking us about authorship markup since its inception, it’s important to let Google know which articles on the web are contributed by you. 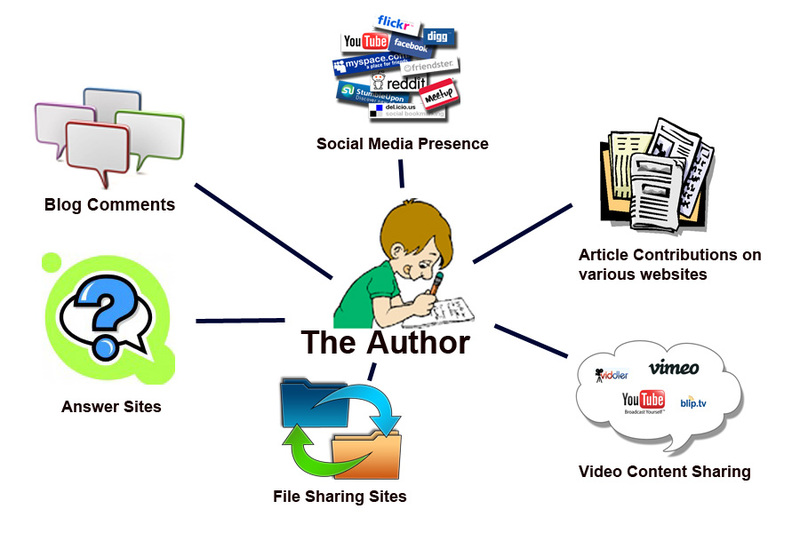 There are currently two methods to verify authorship of webpage content. Any questions or feedback? Please let me know in the comments.